A sofa is not just a utilitarian piece of furniture but a collector’s item that renders an aesthetic touch to the living room. 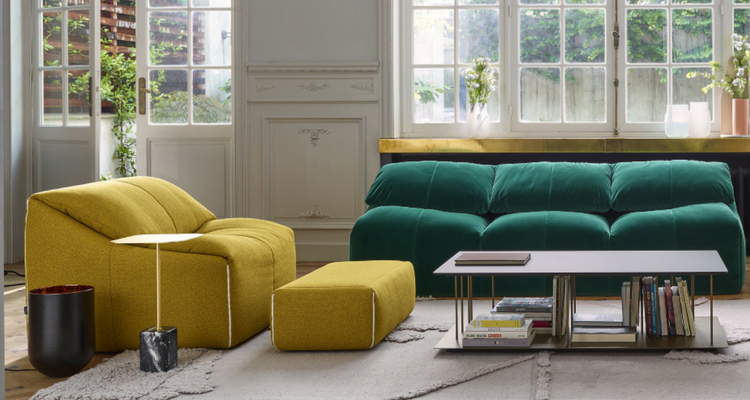 So, if you are getting a brand new sofa for your living room and you want to stay ahead of the coming trends, then it makes absolute sense to bring home the latest in designs. This will not only upgrade the look of your living room but also speak a lot about your personal style and sense of beauty. So what are the current trends in sofa set designs? Let’s have a look! 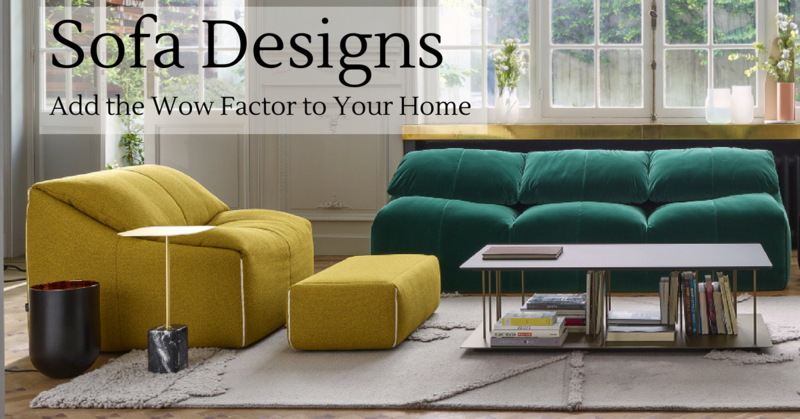 Space is an important factor when it comes to selecting furniture for your living room. So a sofa that can double up as a bed makes for a great choice. 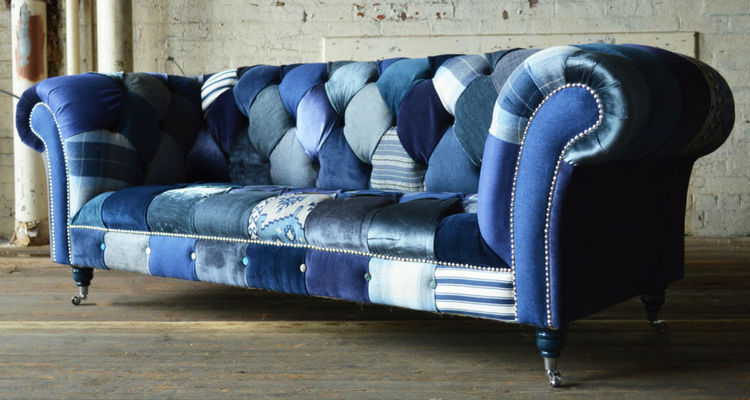 A futon sofa is just that! It is not only trendy but multifunctional. Its split-back feature allows adjusting the angle. Plus, this kind of sofas can be customized in various color schemes and premium fabrics by the high-end sofas manufacturers in Kolkata. 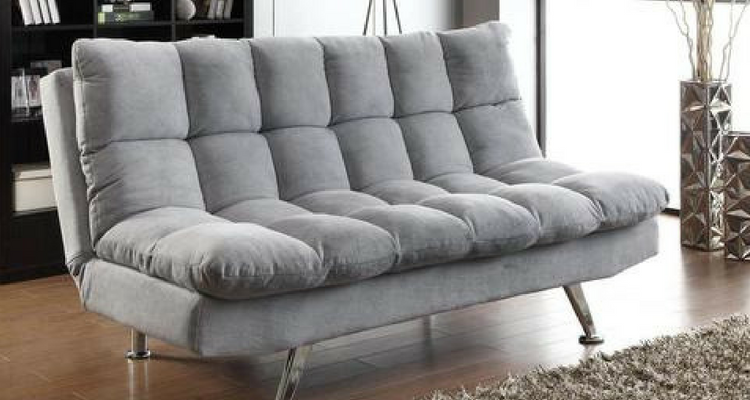 From seating your guests comfortably to giving space for a sleepover this super versatile sofa is definitely for keeps. For a small apartment, a tufted sofa is the best option. It’s not big and bulky. Rather, its plush style with thin legs will make space for people to move around the room. The visually appealing look and stunning features of this sofa will brilliantly hint at your personal taste for elegance and practicality. If you are sporty and love to play with colors, then go bold in ultraviolet which is the Pantone color of the year 2018. 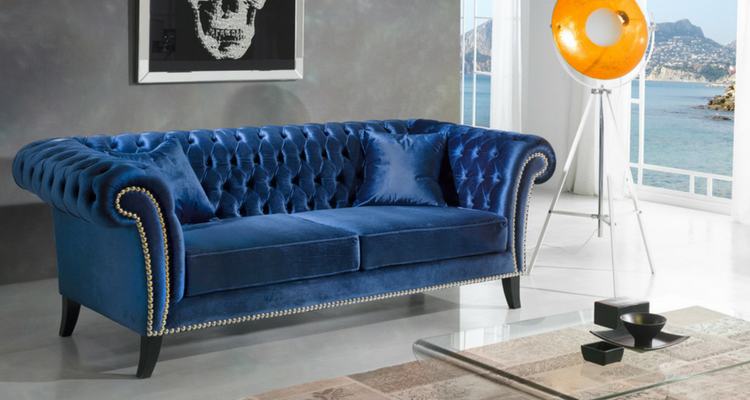 But for a safe bet, bring a light down styled tufted sofa in softer tones such as blue or grey. If you are fond of mid-century styled furniture, then think about giving a contemporary twist to your Italian sofa set designs. The fusion of mid-century framework with contemporary style offers a fresh look to the living room. This modern styled sofa is a great choice for saving space and giving comfort. At the same time, it’s an iconic piece for any home with its cherry-hued wood frame and low arms. Gold, silver, and bronze with metallic sheen are now as popular in furniture as in the fashion industry. 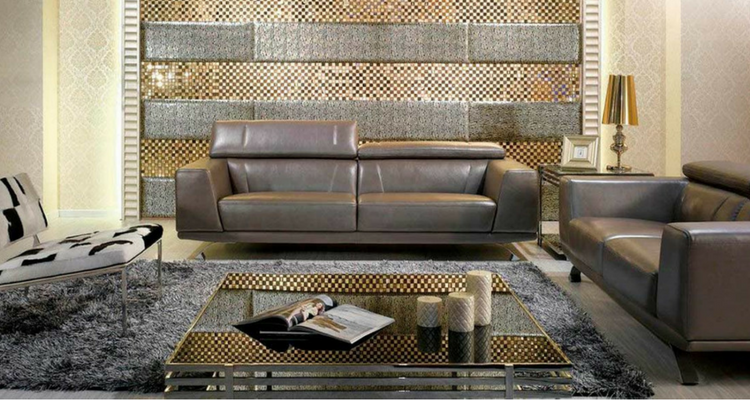 So the latest collection of metallic stardom sofa is an excellent choice for adding a touch of glamour to your living room. Despite its modern and chic look, it comes with a backrest and you can keep some oversized pillows for a comfortable feel. On the other hand, sitting on a silver stardom sofa, made of Italian leather, will make you feel nothing less than a star. Patchwork is generally associated with blankets and quilts. This artwork has been originally invented for economic necessity, but now it is one of the most popular artistic creations in fashion as well as upholstery materials. Designers are adapting this stylish patchwork technique for adding fun and funky touch to their furniture line. So a patchwork crafted sofa is not only chic for a modern home but an amazing piece of furniture to brighten up a dark corner in your living room. This variant of sofa set in Kolkata is exceptionally vivid focal furniture pieces. A canapé sofa is a curvy styled old-fashioned furniture piece that takes very little space in your living room. With a framework of climbing the wall, it stands out as a great artistic creation. However, there is a sense of whimsicality in the design. If you keep it in a corner, you will see that the sofa looks almost symmetrical from floor to wall. Once you go to a sofa showroom in Kolkata, you will find these sofas in both darker and lighter tones of black, grey, blue and white. Meant exclusively for a chat between two people, seating face to face, loveseat sofas are another great option to offer limited space. Get one in bright color and style, best suited to your interior and experience a mushy conversation. So when you want to spend some “alone” time with your partner over steaming coffee, then have yourselves comfortably placed on a loveseat. 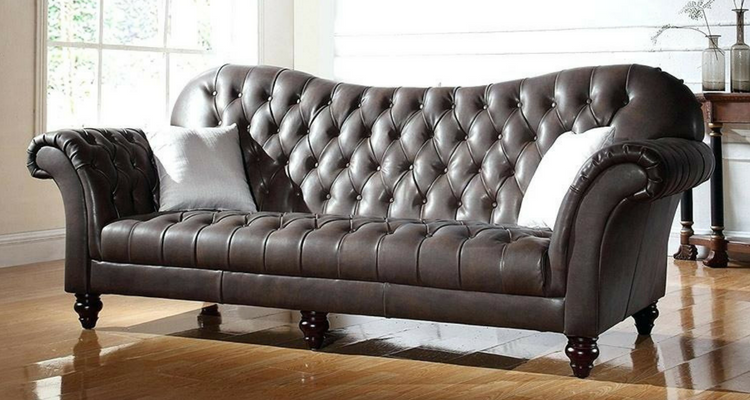 Add to the vintage charm of your interior or create one with a Victorian settee. It comes in metal or metal frame with upholstered fabric. 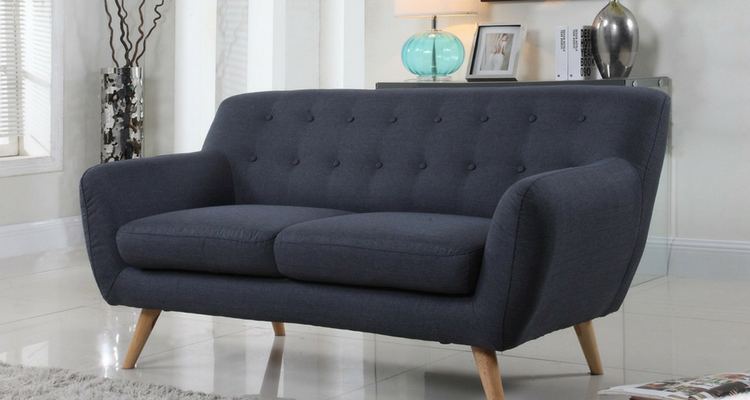 This sofa has the ultimate state-of-the-art appeal which is perfect to provide you with the utmost comfort at the expense of longer sustainability and durability over the years. Now that you are well aware of the numerous sofa options, go to the furniture stores in your city and pick the sofa best suited for your home interiors.